Looking for the perfect SUV for your family in Savannah The 2017 Toyota RAV4 has all the features you want with all the power you need. Get your brand new SUV near Hilton Head Island today from Savannah Toyota. The 2017 Toyota RAV4 features available LED lights that cast a brighter and clearer light than traditional halogen lamps, with a fraction of the energy use. 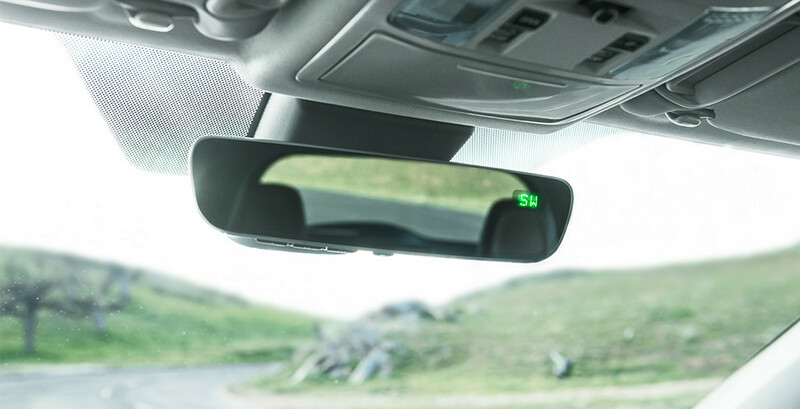 You’ll get fog lights to cut through the gloom, as well as LED headlamps and tail lamps. 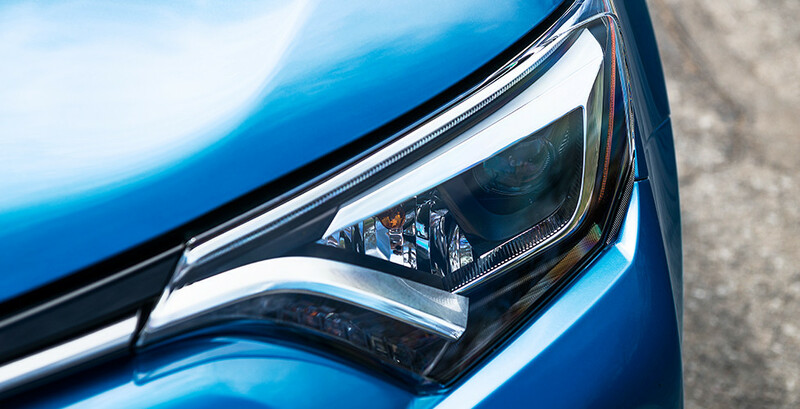 Daytime running lights improve your visibility to other cars even in the daytime. S-Code paint treatment is a unique finish that will make your RAV4 stand out. 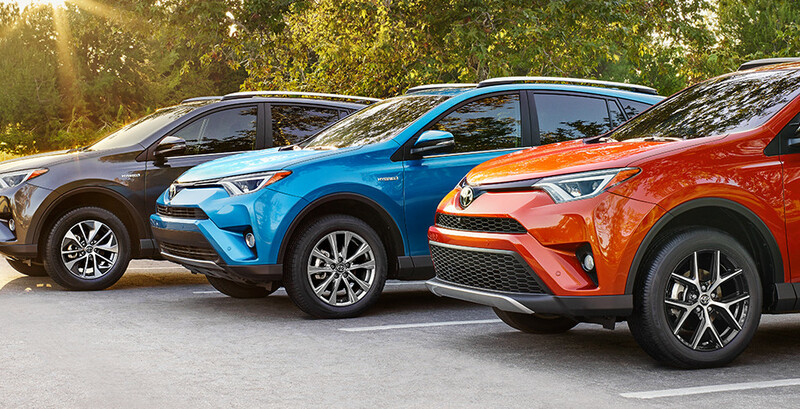 Silver-painted accents on the side lower trim, fenders, and rear and front bumpers give your RAV4 a refined and sophisticated style that will turn heads wherever you go. The RAV4’s trim levels each come with a custom-designed bumper set. Choose from 17-inch steel wheels with wide-vented spokes or alloy wheels, or 18-inch wheels with SuperChrome finish and sporty machined-face alloy wheels for a look that adds a unique flair to your vehicle. The automatic power liftgate makes it easy to open up your storage compartment even when your hands are closed. Raise the liftgate to your ideal height so it doesn’t collide with an overhang or garage ceiling, and open it via your remote key fob. SofTex trim on the seats gives you a plush and comfortable feel that mimics leather without the cost. 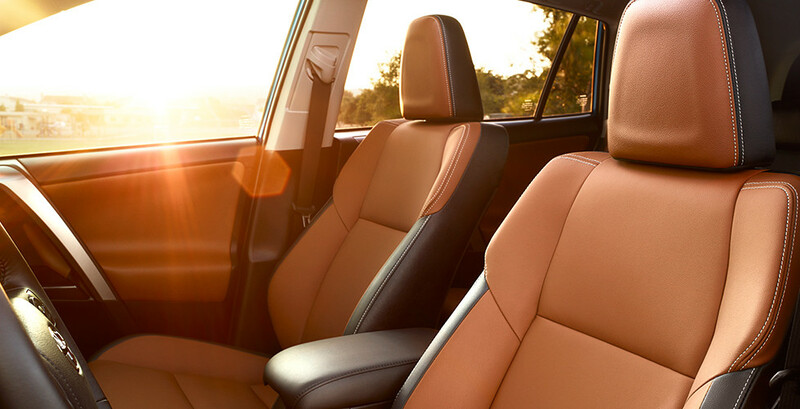 Heated seating means you’ll keep comfortable even when it’s chilly out. 8-way power adjustment on the driver’s seat comes with lumbar support to keep your back limber even on long drives, while the memory function ensures you can keep your favorite position even after someone else drives your RAV4. 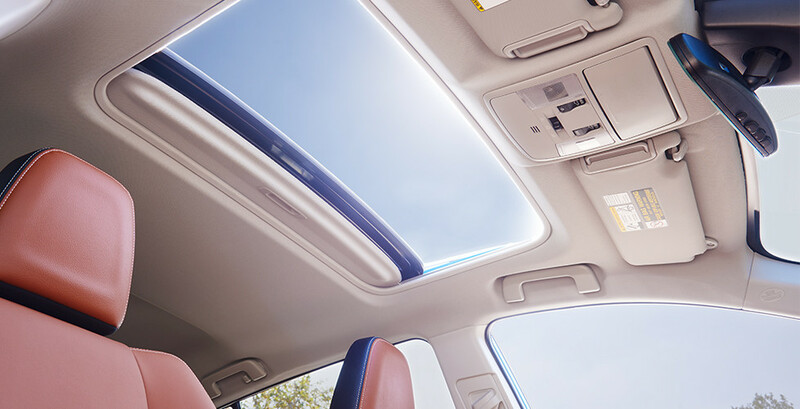 The RAV4 features a power tilt and slide moonroof that opens up the interior of your vehicle for a spacious feel. Automatically slide back the sunshade to let in the natural light, or open it all the way to fill the cabin with fresh air. Toyota HomeLink is a remote-activated system that lets you easily control your home security systems from your vehicle. Open your garage door and your front gate with just the push of a button without having to get out of your SUV! 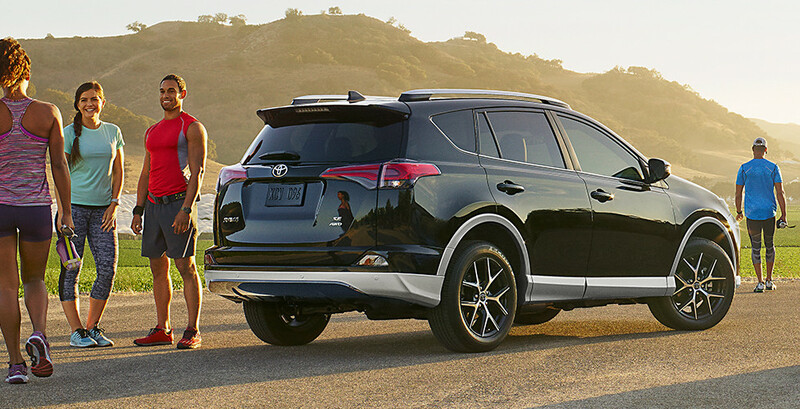 The Smart Key system is a remote proximity key fob that makes it easy to get in and out of your RAV4. It locks automatically when you walk away and unlocks when you draw near. Use the fob to start the engine from inside your house or sound the alarm to scare away intruders, or keep the fob in your pocket or bag so you can start your car with just the push of a button. The Entune app Suite lets you use all of the apps you love from your smartphone or other mobile device. 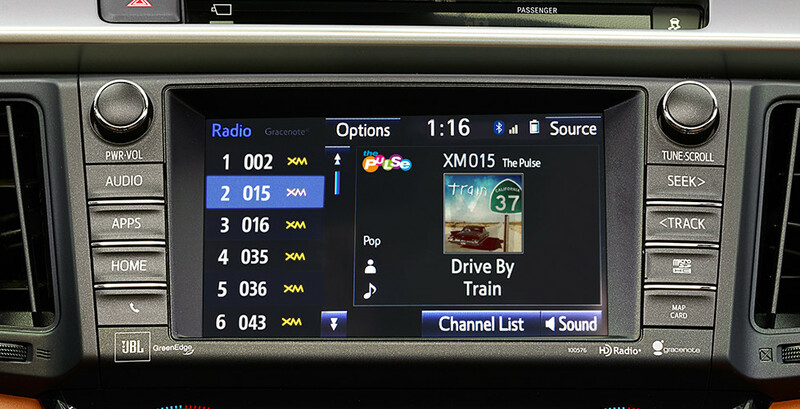 Listen to streaming radio or Sirius XM satellite radio, or your favorite media from your phone. Get sports scores, stock prices, and more, or even look for movie times and restaurants nearby with apps like Yelp! 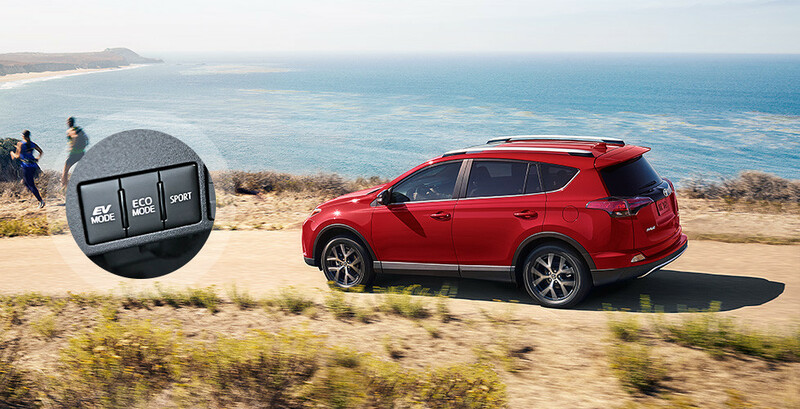 Choose from two options for in-vehicle navigation when you get the RAV4. The Entune app suite provides an integrated navigation system. 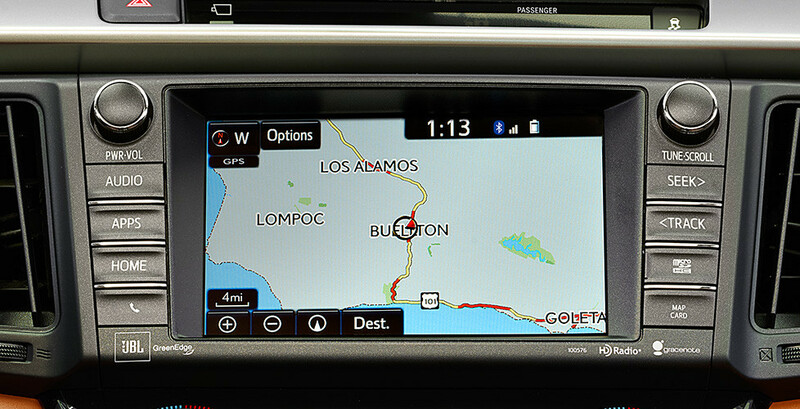 Choose the Audio Plus system with connected navigation, and you’ll get satellite-based GPS that gives you real-time information and turn-by-turn directions. The RAV4 features a 2.5L 4-cylinder engine with a dual overhead cam shaft. The dual variable valve timing system with intelligence provides better fuel efficiency with no loss in power. This engine produces 176 hp and 172 lb-ft of torque, getting up to 31 mpg highway. 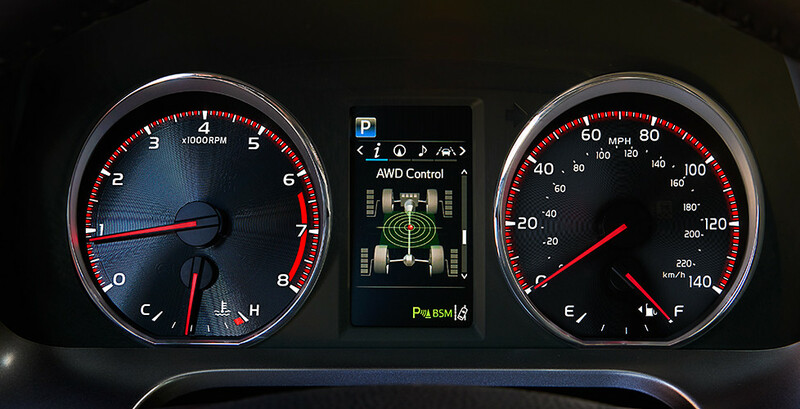 Choose from different driving modes so you can control your energy use and power flow. The ECO mode reduces power use so you can maximize your efficiency. Sport Mode revises the shift points and produces premium acceleration so you can enjoy a spirited and thrilling drive. 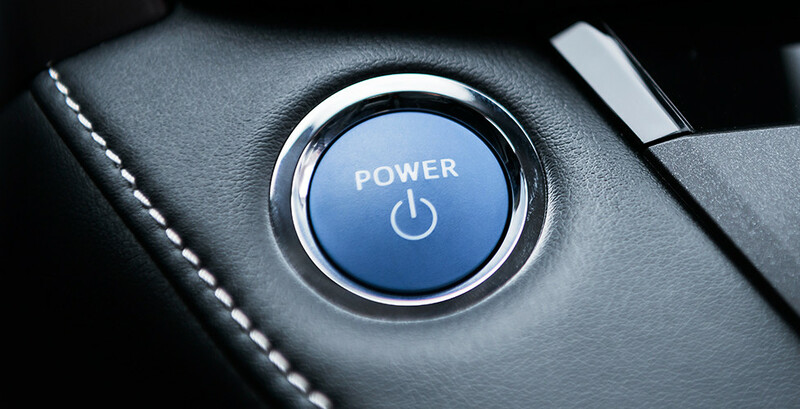 The all-wheel drive system uses dynamic torque control to keep you on track. It monitors your engine power and steering to determine when to send torque to the front and rear wheels, providing optimum traction so you can ride over the roughest terrain. Are you ready to get into the 2017 Toyota RAV4 in Savannah? Savannah Toyota can help! For a test drive of this powerful SUV, call us today at (855) 411-6139 or come see us at 11101 Abercorn Street, Savannah.